It’s been a year since my last visit and admittedly I was a bit hesitant. I was brought back by another birthday girl and couldn’t bear to say no. We stopped for a quickie and mysteriously got in during the lunch hour. Woo… and no lines too! We were given a complimentary bread basket while we grazed over the menu. I found that the bread this time round was a vast improvement since my last visit. Crusty and fragrant with a dash of olive oil and herbs. 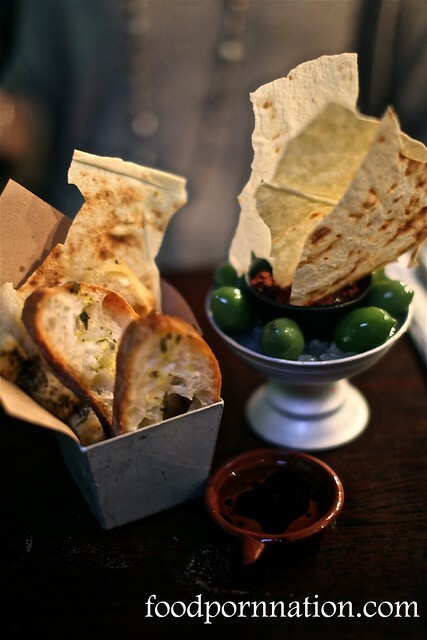 The green olives were plump and delicious with the olive tapenade positively moorish. 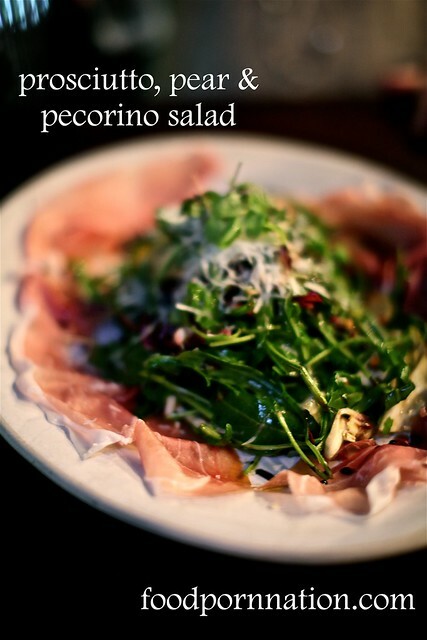 It is said that the prosciutto has been hand picked by Jamie Oliver himself all the way in northern Italy. Levoni is rumoured to be dedicated to breeding and cultivating livestock of the highest grade up until its slaughter. With that kind of value proposition I couldn’t very well pass it up, now could I? The prosciutto came salty, supple and gloriously pink. It’s delicious… yes. But it isn’t the best I have ever had but still… Jamie’s is tasty enough. The salad was similarly tasty but we were disappointed to be only given 3 slices of pear. 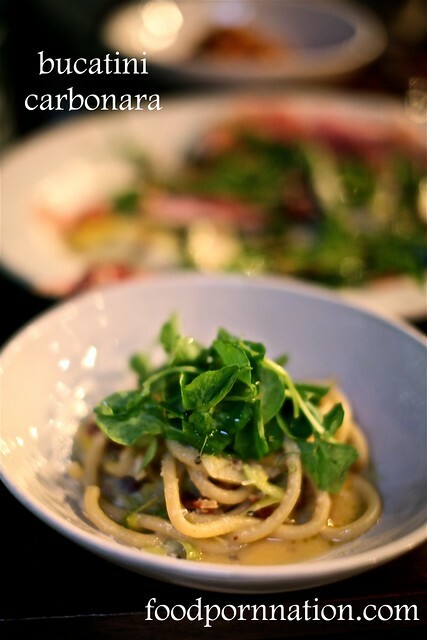 I hate to say it but we were very disappointed with the bucatini carbonara. In fact, it was worse compared to my last visit. Not only was it chewy in its state of rigamortis, it was extremely salty and the sauce was very watery. Unfortunately, it wasn’t Jamie’s finest. Jaime’s Italian again is consistently inconsistent and still maintains the good with the bad. I continue to meet absolute die hard fans and equally, traditionalists who are positively scornful. 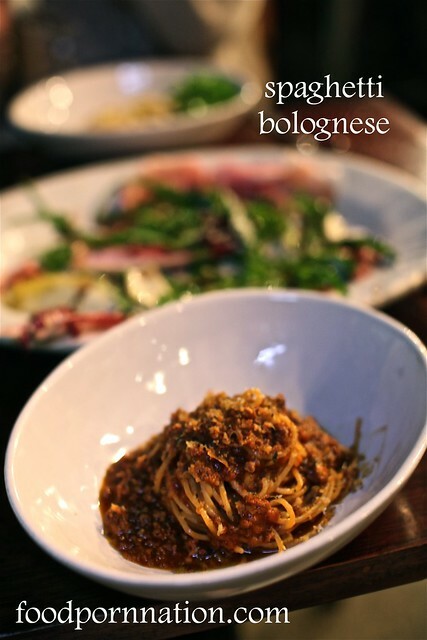 It’s great place, if you are after something average and for some not-so-authentic Italian in a buzzing atmosphere. It is just hit and miss. Welcome to Jaime’s Italian, for hits and misses. But JO is so passionate on them tv shows… Yeah, haven’t eaten here – bailed out on a dinner once but uneven quality? Im Surprised. I’ll get to this one day. At the end of the day, he’s really lent his name out for branding and he’s not at the helm of saucepan. I think it really depends on who’s plating up which will ultimately determine the quality of your meal. You will have to let me know how you go! I haven’t been to this outpost and still have no great desire to go. The question is, will you go a third time? I don’t think you will like it! It’s too mainstream and gimmicky for you. I know you like the hidden gems! I am a sucker for punishment, so I probably will go back. Hmm I’m heading to Jamie’s Italian for dinner tonight with some friends who haven’t had the chance to go yet. Hopefully our experience isn’t as disappointing as yours!! I hear the osso bucco is v good! Its a shame that it’s rather hit and miss… You would think that someone so famous would want to make sure that their restaurant was of excellent quality! And it’s hard to visit somewhere that’s so-so when there are so many other fantastic places that hit the mark every time to visit! I am one of them fortunate ones who had a pretty good meal all around, except for dessert – their tiramisu was a massive let down. From the very start I’ve heard of the good and bad though.